Our training programme for 2018 featured an 'old favourite' and a revamped Regulatory Workshop. Watch this site for details of our 2019 programme! Based on a condensed version of the Association’s popular two-day 'Introduction to Aerosol Technology' Course, this one-day Aerosol Technology Foundation Course covered all aspects of aerosol production. This half-day Workshop took a practical focus, including presentations by several industry players who have recently managed recalls of their products. The workshop was important for anyone involved in the direct handling or transport of aerosol propellants, or anyone working in close proximity to these flammable gasses. Expert local and international speakers covered all aspects of aerosol production, including propellants and formulation considerations, safety, testing, labelling, industry regulations and sustainability. This workshop was important for anyone involved in the development, manufacture or marketing of an aerosol product. It was the perfect refresher to ensure that your aerosol product labels contain the correct information and symbols, so you keep on the right side of the law. 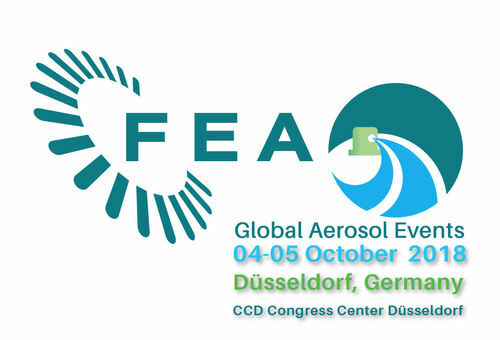 The European Aerosol Federation (‘FEA”) has released the program for its Global Aerosol Congress in Düsseldorf in October.